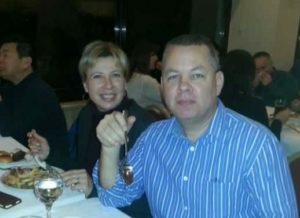 Andrew Brunson and his wife Norine, who have been living in Turkey for over 20 years, had been detained in Izmir in October after being accused of having “membership in an armed terrorist organisation,” specifically Fetullah Gulen, which is believed to have instigated a military coup against the government in July. Brunson led Protestant Resurrection Church in the city. On Wednesday, 78 members of Congress signed a letter, spearheaded by the Senate Foreign Relations Committee and the House Foreign Affairs Committee, that expresses their belief that Brunson is innocent and that his incarceration is unjust. “In this spirit of partnership, we respectfully ask you to consider Mr. Brunson’s case and how the recent treatment of Mr. Brunson places significant strain not only on him and his family, but also on the robust bilateral relationship between the United States and Turkey,” the correspondence requests. Signees include Sens. Ted Cruz, R-Texas, Rand Paul, R-Ky., Marco Rubio, R-Fla., James Lankford, R-Okla., Cory Gardner, R-Co., Jerry Moran, R-Kan., and Reps. Jeff Duncan, R-S.C., Trent Franks, R-Ariz., Chris Smith, R-N.J., Brendan Boyle, D-Pa., Adam Kinzinger, R-Ill. and Barry Loudermilk, R-Ga. Religious rights advocacy groups applauded the news that members of Congress had united to back the pastor. “No one’s freedom should ever be taken from them simply because of the faith they profess, and I look forward to continuing to work with members of Congress and others to highlight Andrew’s case,” he stated.